We hope you can join us by chatting, tweeting, sharing as the event streams. This is a first for us so be prepared for glitches. We hope it will be a fun transmedia event. Click here to download the Rain Dance Festival Catalogue. Doubt is featured on page 7 in the Young Adult section. If you stumbled here and don’t know what this is about, don’t leave! Here are some details about Doubt, book 1 of the Among Us Trilogy. At 21 years old, Harry and Cristal are fresh out of university with their PhD’s. Labeled all their lives as being ‘weird’ and ‘geeky’, they find true friendships with other outcasts by playing online virtual reality games. 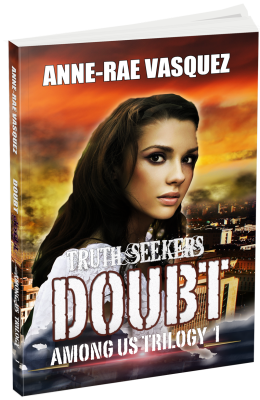 Doubt is Book 1 of the Among Us Trilogy. Among Us is a book series which delves into the world of the supernatural and how it intersects with the everyday lives of seemingly ordinary young people as catastrophic events on earth lead to the end of times. Among Us weaves the theme of a young man and woman, who while not fully understanding their ‘abilities’, are drawn together in their desire to find out the truth about the world they live in which is similar to themes used in J.J. Abrams’ TV shows Fringe and Lost. As a big fan of the show Fringe, this book appealed to me tremendously. The writing was well done, and the way the “supernatural” forces were introduced was great. 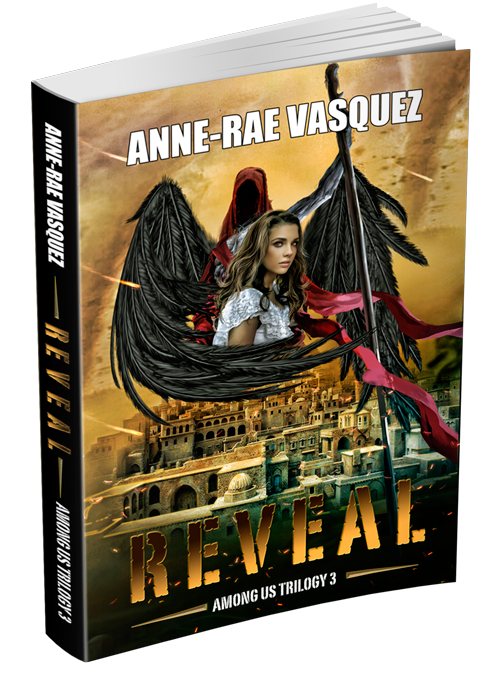 It was an excellent story that I’m sure both adult and teen urban fantasy fans will enjoy. You don’t have to be a gamer or know one to identify with the characters. They’re very well developed and definitely feel like people. I would definitely recommend it to a friend and I’m really looking forward to the second book. …the novel is written in such a languid style, it moves on effortlessly and absorbs the reader into the story completely. Although the story itself revolves around the online gaming industry, one does not have to have an in depth knowledge as it is ably explained and discussed within the plot line. OMGosh! I just finished reading “Doubt” INCREDIBLE! I couldn’t put it down.